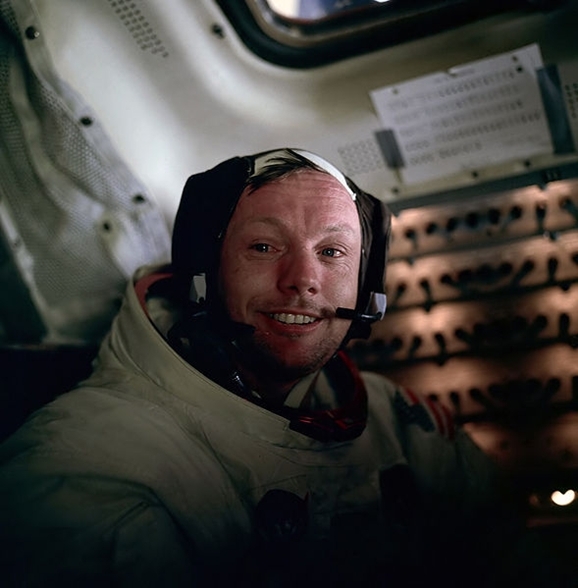 Neil Armstrong, the first man to walk on the moon, has died at the age of 82. His family broke the news that the astronaut, who had undergone heart bypass surgery earlier this month, passed away today, Saturday, August 25, 2012. According to his family, Armstrong died from post-surgery complications. Neil Armstrong, photographed by Buzz Aldrin. As reported by USA Today, Armstrong flew for the Navy during the Korean War, and eventually went on to become one of NASA’s very first astronauts, also serving as command pilot for the Gemini 8 mission. After the Apollo 11 mission, Armstrong went on to teach at the University of Cincinnati.